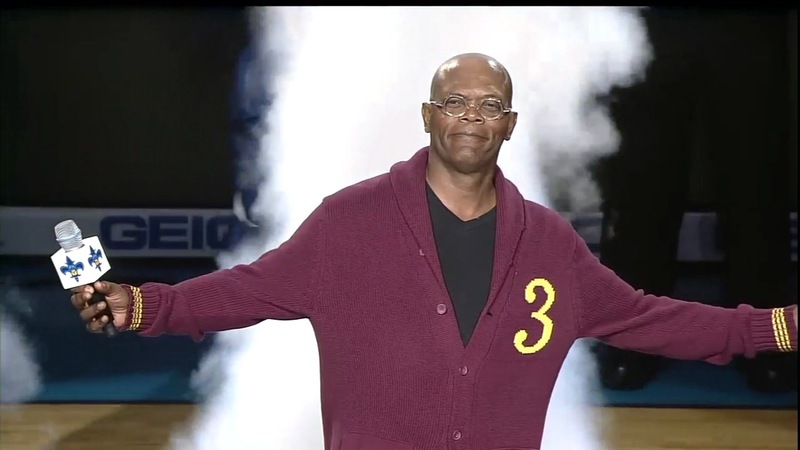 Samuel L. Jackson handled the PA assignments of introducing the staring lineups in New Orleans for the Hornets and Clippers tilt which also featured the return of Chris Paul. All in all we expected better but you can judge for yourself. 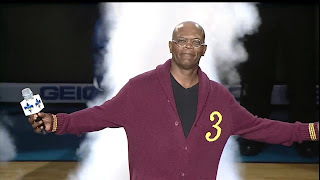 Aside from his intro of Chris Paul, which wasn't all that stunning and his Pulp Fiction reference before introducing the Hornets there really isn't anything that made you laugh or get excited that Samuel Jackson was introducing starting lineups at an NBA game. The irony is how the Hornets did go on to win the contest and spoil CP3's return to the Big Easy after Jackson really stood up for the Hornets saying "...you will know their name is the Hornets when they lay their vengeance upon you". Well the Clippers felt that vengeance for sure in what was a physical contest from the opening tip.